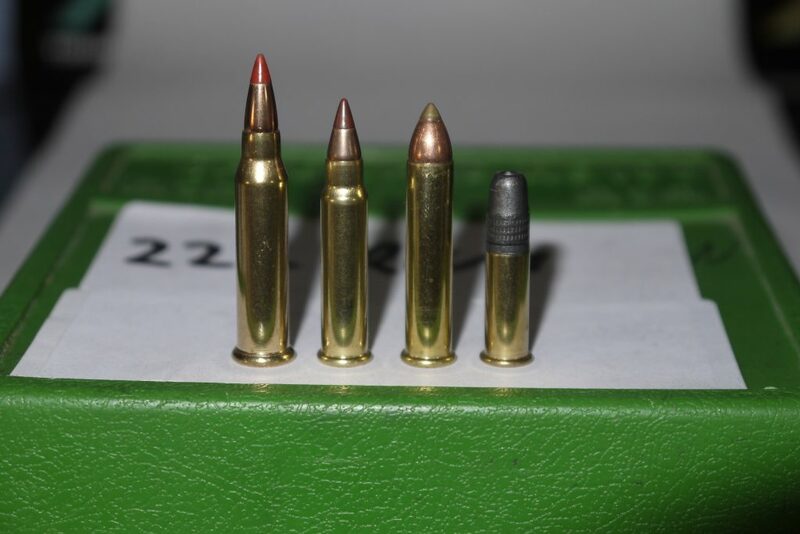 Today we see rimfire cartridges for small game and target shooting. However, history shows it was the first practical, self-contained ammunition. Based on the old Volcanic rifle’s Rocketball cartridge, which was a caseless design, Horace Smith (Smith & Wesson) conceived a case with a hollow rim (balloon head) that contained the priming compound, fired by an off-set firing pin that crushed the rim. In 1857 he launched it as the 22 Short; and the rest is history! Back in the late 1800s, rimfires came in all sizes, three for example; the .44 Henry, .56 Spencer both used in the American Civil War and the Swiss 10.4x38mm Vetterli. There were many rimfire calibres from the tiny 4mm salon pistols up to a 1” Gatling cartridge. However, the advent of centrefire ignition killed the majority of rimfires off. Centrefires offered a much stronger case so performance could be vastly improved. The only survivors were those based on the 22 Short and a family of cartridges developed – Short, Long and Long Rifle (LR) plus the tiny CB cap. Of these today it’s mainly the 22LR that has prospered and is available in standard, match, sub-sonic, high and ultra-high-velocity loadings. Upping the power a little was Winchester’s Magnum Rimfire (WMR). Introduced in 1959 it could run 30-40-grain bullets at speeds of 1800-2000 fps. Which was a considerable improvement on the average of 1000-1400 fps of the 22 LR with its 40-grain bullet. However, in 2002 a new rimfire calibre appeared – the 17HMR (Hornady Magnum Rimfire) using a necked-down 22WMR case it fired a tiny, 17-grain ballistic tip (BT) bullet at 2500 fps or a 20-grain hollow point at 2300 fps. Flat shooting, fast and super accurate it took the world by storm and was easily capable of shooting vermin out to 200 yards! Not content with that Hornady then tried the same trick on the 22LR case and came up with the 17MACH2 (HM2). Using the same 17-grain bullet it made 2000 fps, however it did not really succeed. 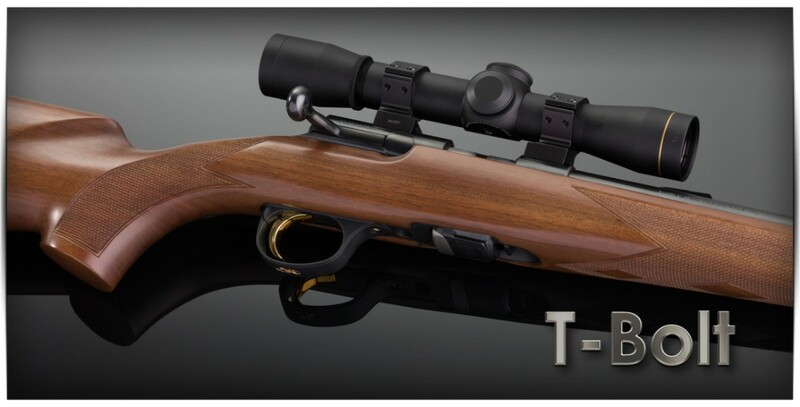 But it does not stop there, as in 2012 Winchester raised the bar with the introduction of what is now the world’s fastest and most powerful rimfire the 17WSM (Winchester Super Magnum). Unusually it’s based on the industrial .27” nail gun case, which was chosen for its strength as pressures were up considerably so a stronger head was required. It offers two loads a 20-grain at a quoted 3000 fps and a 25-grain BTs at 2600 fps. When compared to the 17-grain HMR the 20-grain WSM is adding an extra 500 fps and 154 ft/lbs of energy with a quoted effective range of 350 yards; impressive! One other rimfire calibre has yet to be fully explored is .20” (5mm). Remington offered their Rimfire Magnum (RRM) in 1969 in a 38-grain 2100 fps/370 ft/lbs and 30-grain 2400 fps/400 ft/lbs loadings. The case was based on the 22WMR but thicker to handle the pressure. Rumours abound about someone picking it up again, as it could prove a winner; we shall see. But it’s plain to see rimfires are still alive and well with no sign of going away! I’ve used a .22 LR for almost 50 years to great effect and still have the same rifle. I have used it in many variants from super HV to subsonic and it’s a a superb all rounder used within it’s capability. The only vice it has in my view is it’s ability to ricochet and I’d love to see some BT bullets developed that break up and dont skip so readily. The .17 HMR on the other hand is flat, super accurate and I love it, even though I said I ‘d never own one, I did and found the little BT bullets travelling at such speed never seem to ricochet, which is a quality I appreciate. I’m super careful about back stops and angles but the occasional sound of one moving on, is not a comforting one! !